I attended the Momentum rally last night, together with my son Tom and about 10,000 other people. 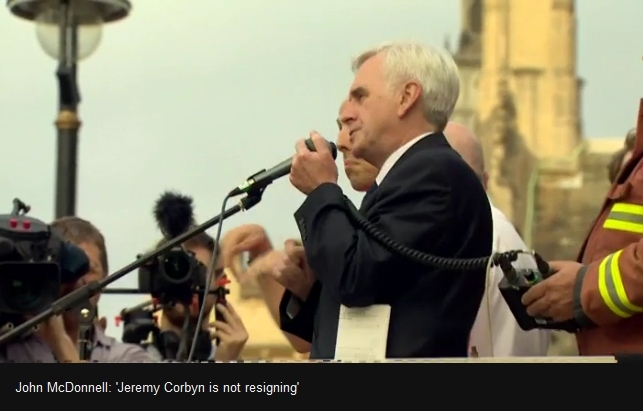 It was a brilliant and optimistic rally with a clear message – Jeremy Corbyn isn’t going anywhere. 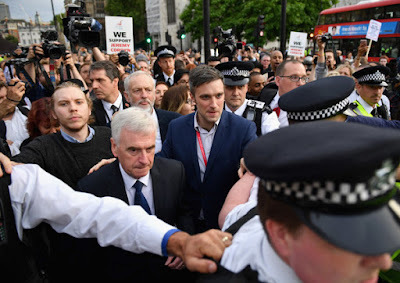 John McDonnell, Corbyn himself, Dennis Skinner, the President of ASLEF and others had a simple message - Jeremy Corbyn was elected by Labour’s members and only they will vote him out. Only the blind and stupid will believe the New Labour pretext for attacking and trying to depose Corbyn – that it was all down to the Brexit vote. The vote in the northern working-class constituencies for Brexit weren’t the doing of Corbyn. 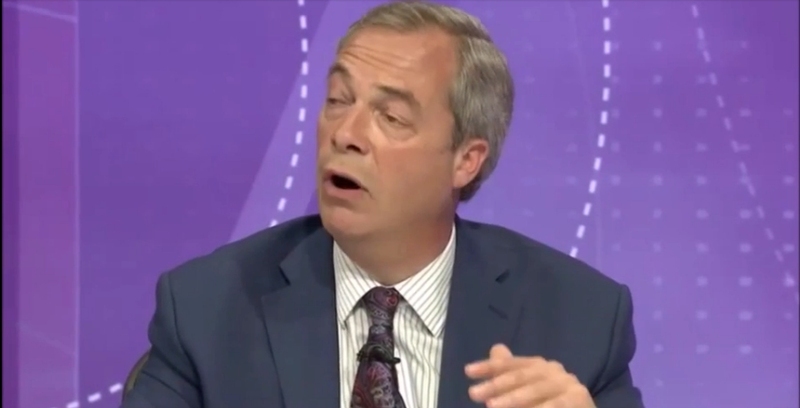 UKIP gained 4 million votes in the May 2015 election. Those who remember that awful election night will recall that the Sunderland constituencies each delivered votes of approximately 8,000 votes to UKIP. Just like the decimation of Labour in Scotland, the erosion of working-class support for Labour took place on New Labour’s watch. 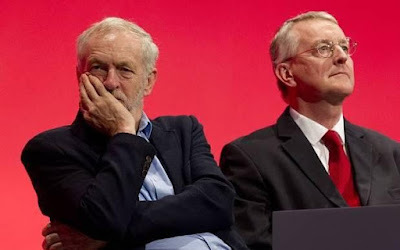 The idea that Corbyn could reverse the damage that New Labour had done, at the same time that New Labour in the form of Wes Streeting, John Mann and Hilary Benn were waging war on him, is fanciful. From the time that Corbyn was seen as a credible candidate last summer to today, the Right has waged a war against Corbyn in alliance with the Daily Mail and the Tory press. Today the Daily Mirror, a paper that once supported Oswald Moseley’s British Union of Fascists, joined in the witchhunt. 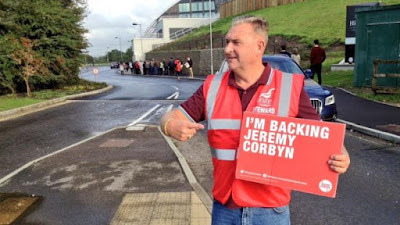 There will be some people who supported Corbyn who will not lost heart and succumb to the nonsense that this is all about Corbyn winning the next General Election. Without New Labour muddying and diluting Labour’s message of an end to austerity there is no doubt that Labour under Corbyn could do much better than Ed Miliband. The only obstacles to this is New Labour which is determined to ensure that Labour remains a safe alternative party of capitalism. The Right started off the attack with bogus ‘anti-Semitism’ and it has now ended with Hilary Benn’s treachery. 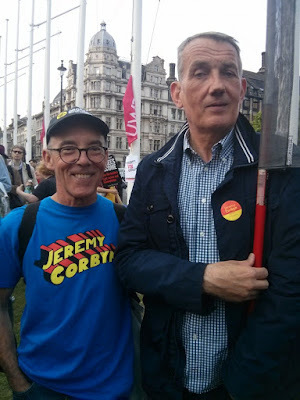 It is fortunate that his father Tony Benn is dead otherwise he would be aghast at the behaviour of his son in emulating the worst characters of Labour historically such as Ramsay MacDonald. It is essential that the left in the Labour Party should keep their powder dry, support Jeremy Corbyn, build Momentum and above all deselect those who tried to stab Corbyn in the back. 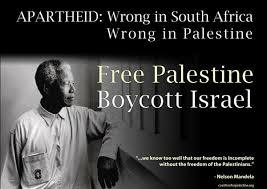 Today’s High Court ruling in favour of three councils which have boycotted Israeli settlement goods has been hailed as a “victory for the Palestinian-led boycott, divestment and sanctions campaign and for democracy”. The landmark ruling is also a rejection of the Government’s attempts, in February, to stop councils from adopting ethical procurement and investment policies by implying that legal action could be brought successfully against them. “Today’s High Court ruling is an important victory for the Palestinian-led Boycott, Divestment and Sanctions campaign and for democracy itself. Councils have been told categorically by the High Court that there is nothing unlawful in ethically boycotting Israeli settlement goods, and PSC welcomes this ruling. "The UK government’s attempts to intimidate local councils into dropping ethical procurement and investment policies clearly have no legal basis. Councils can legally adopt policies which avoid or end links with Israel’s illegal settlements. The case against Leicester, Swansea and Gwynedd city councils was brought by Jewish Human Rights Watch, which has been ordered to pay the legal costs of all three councils. The narrow victory of Brexit in the European referendum has split the Tories down the middle. The Conservative Party is in the middle of an unprecedented political crisis as Cameron resigns and Boris Johnson is the favourite to assume the mantle of leadership. Division over Europe has been the Tories Achilles heel. 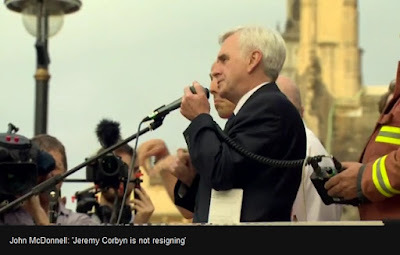 Corbyn demonstrates his boredom at Benn's actions by sacking him! Added to this there is a constitutional crisis as the SNP moves to call a new referendum over independence whilst seeking to preserve its place in the European Union. The break up of the Great Britain is a distinct possibility as Scotland will almost certainly vote for independence in a new vote. Blair’s opinion represents the views of Progress. They don’t want a radical change to the capitalist system. They don’t want a radical programme which means the transfer of wealth from the super rich to the poor. They want to preserve inequality whilst tinkering around at the edges. 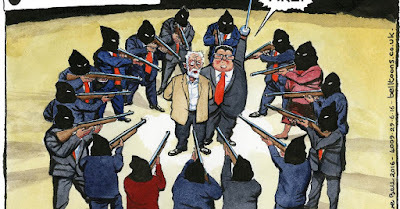 It is now essential that Momentum, which Jon Lansman has ensured remains a toothless guard dog, now springs into action to begin the process of deselection of Benn, the multi-millionairess tax dodger Margaret Hodge, Hove’s Peter Kyle and all the other Labour Tories. 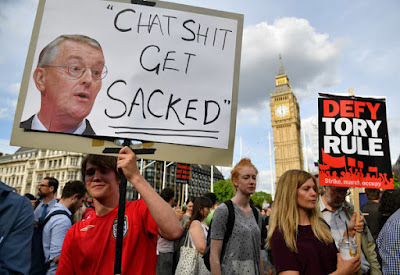 Corbyn has made a good start by sacking Hilary Benn from the Shadow Cabinet. 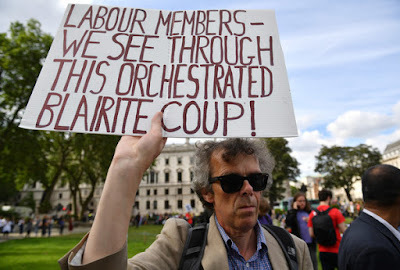 He should now pre-empt any resignations by sacking Angela Eagle, who is equally disloyal, her sister Maria, Israel’s devoted supporter Fabian Hamilton and any other scab within the Shadow Cabinet. 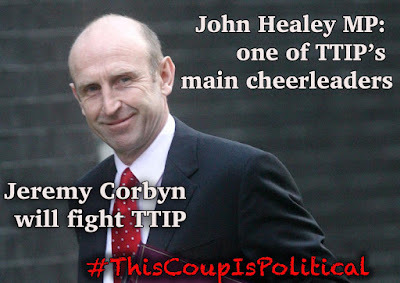 Stephen Kinnock, son of the Labour traitor Neil Kinnock, who managed to lose 2 successive elections, Anne Coffey and the rest of them should go. The disloyalty of Labour’s Right is unacceptable. There needs to be a bloodbath and the deselection of at least 50 Progress MPs to encourage the others. 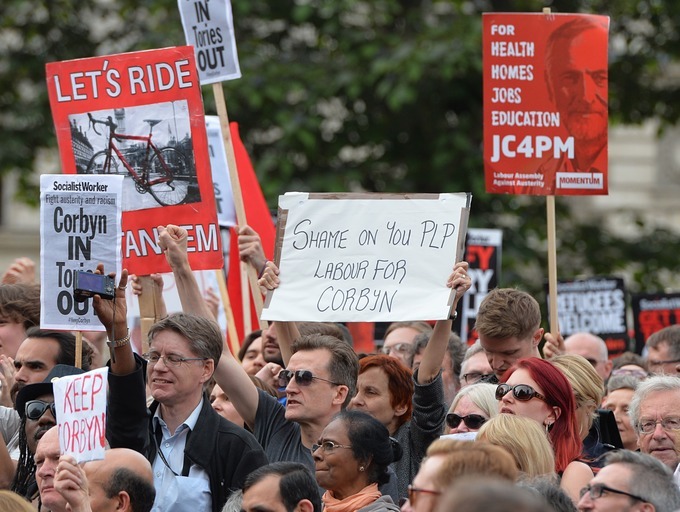 It is not necessary for the Shadow Cabinet to cover every equivalent position in the Cabinet. A smaller and tighter Shadow Cabinet is better than a larger and more incoherent body. 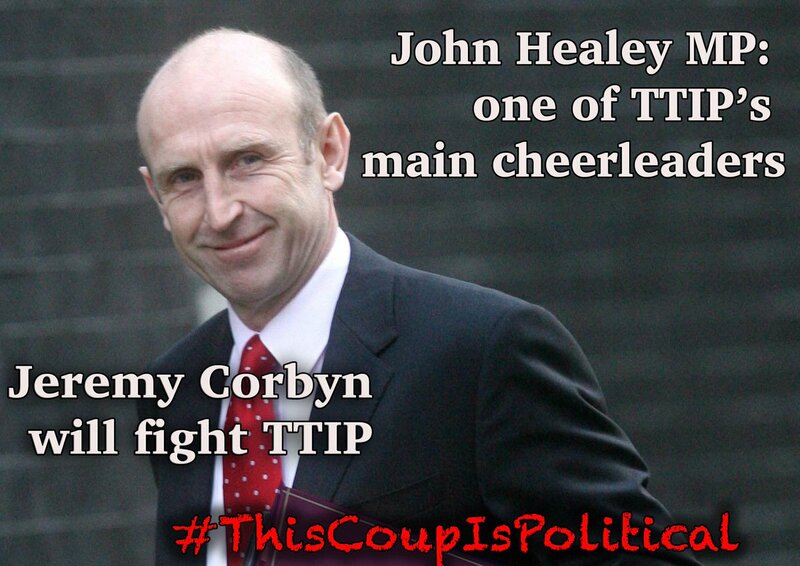 The only question is whether Labour stands for anything radically different from the Tory Opposition. It is time to clean the Augean Stables of the PLP. Politically Labour needs to make it clear that the Referendum on Brexit is not the final say on the European Union. 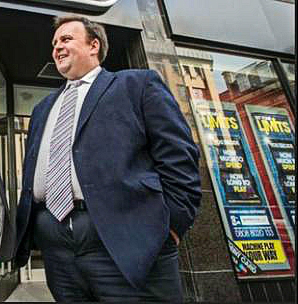 There needs to be a political fight to win over the heartlands of Labour in the North and to defang UKIP. It needs to drain the poison which says that immigration causes low wages and loss of jobs. Immigration is a lightning conductor for fears over jobs, housing and prosperity. The idea that immigration causes job losses is nonsense. If it were true then any country with unemployment could expel a section of its population and solve the problem of unemployment! In reality immigration creates jobs because it increases demand. The deindustrialisation of the North and Midlands was a result of a deliberate policy of Thatcher to make Britain dependent on financial services and a candy floss economy of coffee shops and services. 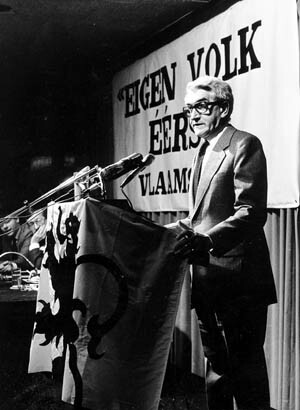 A socialist economic policy is the only thing that can win over the Northern working-class. New Labour has no alternative. When Blair won in 1996 anybody could have defeated the divided Tory party. In every successive election Labour lost millions of votes. Blair’s reign was not a success, quite the contrary. Corbyn was elected Labour leader because of mass revulsion at the Tory’s victory and the half-hearted response of Ed Miliband. Now is the time for courage. 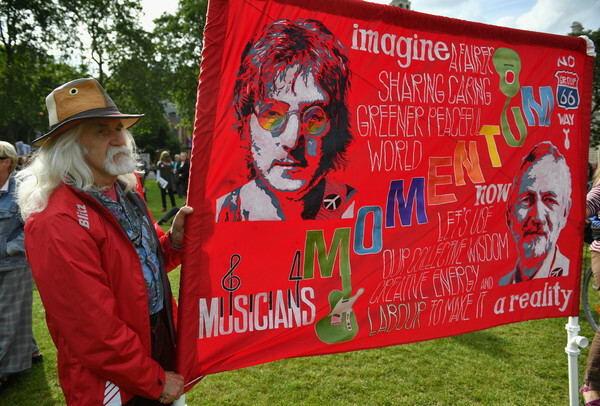 Now is the time to wage war on Progress MPs. 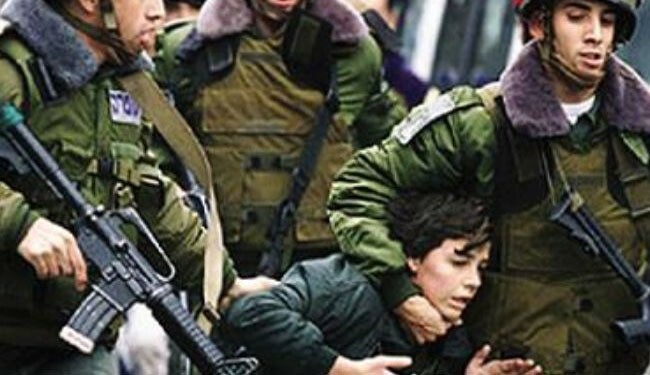 On the 6th January 2016 the House of Commons held a debate on Child Prisoners and Detainees: Occupied Palestinian Territories. 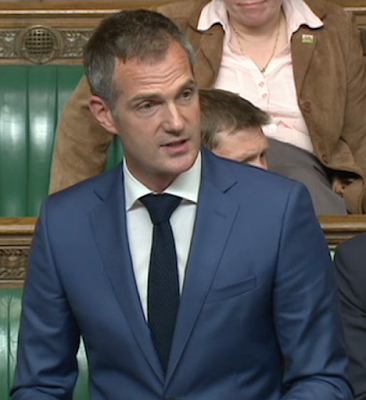 During this debate there was one Labour MP who was determined to defend the Israeli military. Every excuse for torture, the beating of children, the night-time arrest of children, when they are hauled out of bed, blindfolded and handcuffed in painful plastic cuffs, was made by Ellman. Ellman repeated Israeli army propaganda without even once attempting to question whether the Israeli army might be lying. An army whose statements have repeatedly been show to be fabrications when video evidence has been produced, when its soldiers have brutally attacked cameramen, murdered wounded prisoners and physically attacked children in broad daylight. 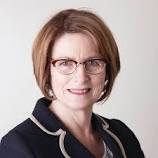 Louise Ellman appears to be more the MP for Tel Aviv North than MP for Liverpool Riverside. Note how the context is not Israel’s 49 year military occupation, nor the systematic use of violence by the Israeli army, the night time arrests of children etc. It is ‘incitement’ by the Palestinian authorities of ‘young Palestinians’. 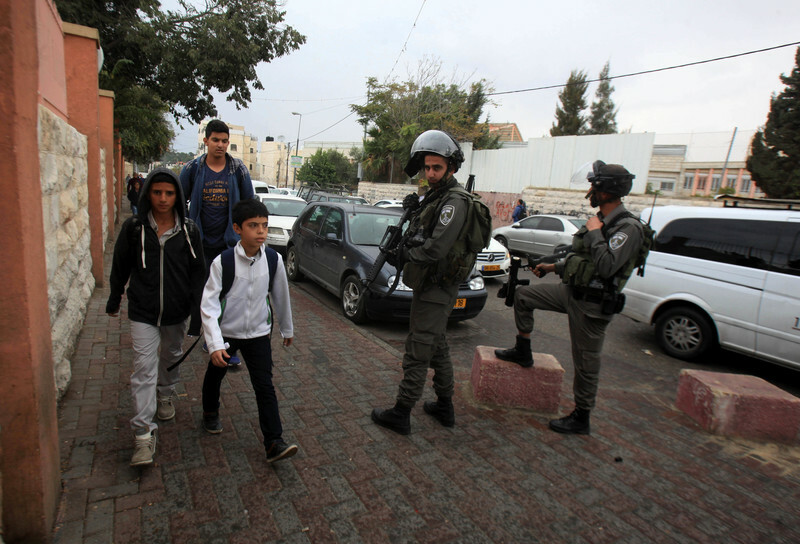 The violence of the Occupier is instead transferred onto the shoulders of the Occupied. Palestinian children and youth do not need to be ‘incited’ to know they live lousy lives under a permanent military occupation. This is the standard text of those who believe the Israeli occupation is the most benign in history and that Palestinians just love seeing their land confiscated, their houses demolished, their economic prospects blighted. It is in any case an Israeli propaganda lie. The Palestinian Authority is a collaborator with the Israeli military. It has done its best to prevent attacks on the Israeli military. One notes that Ellman doesn’t call for the arrest of the Israeli military killers because of course, in her eyes, the occupation is legitimate and the Israeli Police and Miliary are merely agents of law and order. Ellman’s is the voice of the traditional colonialist who never sees or hears the violence of the occupier and who is only concerned by the resistance of the occupied. For Ellman it is Palestinian children who commit violence and the Israeli military, which raids houses at night when people are sleeping, which is perfectly innocent. An army which stands by when settlers attack Palestinian villagers and attacks them when they fight back, is above and beyond criticism as far as Ellman is concerned. 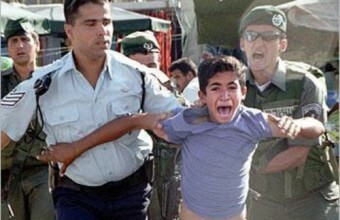 "the ill-treatment of children who come in contact with the military detention system appears to be widespread, systematic and institutionalized throughout the process, from the moment of arrest until the child’s prosecution and eventual conviction and sentencing”. The Israeli Ministry of Foreign Affairs stated that, “it would study the conclusions and work to implement them through on-going cooperation with UNICEF”. Similar statements have been made previously following the UK report. Amongst the issues that British officials raised, were ‘the use of painful plastic ties to restrain children, arresting children in the middle of the night in terrifying military raids, and the mandatory use of audiovisual recording of all interrogations.’ Despite promises to the contrary, in February 2015, UNICEF issued an update to its original report and noted that allegations of “alleged ill-treatment of children during arrest, transfer, interrogation and detention have not significantly decreased in 2013 and 2014”. 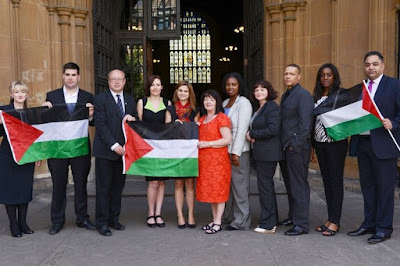 ​Paula Sherriff, Labour MP for Dewsbury, spoke and described how she visited the West Bank in September 2015 having been briefed by Military Court Watch. Sherriff spoke of ‘the significant disparity between treatment of Palestinian and Israeli young people, including lack of legal representation and parental support, allegations of widespread abuse and having to sign confessions in Hebrew, among many others?’ Most Palestinian children don’t understand Hebrew but they are expected to sign a confession in a language they don’t understand. All Ellman’s statements were assertions lacking even the slightest evidence. Ellman is and always has been an echo chamber for the Israeli military. Despite appearances to the contrary, Ellman is not stupid but malevolent. The torture and beatings by the Israeli army, which refuses to record its interrogations, which refuses access to lawyers or even parents to accompany their children, is acceptable to Ellman. 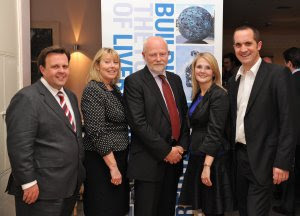 If Liverpool Riverside has any integrity or principles as a constituency, it will take steps to deselect Ellman. She is in a long line of politicians who saw in colonialism a benevolent force. There were also those in the Labour Party previously, like the former Minister Ray Gunther, who supported Apartheid. Ellman is a supporter of Israeli Apartheid and the necessary military force that is required to uphold it. 3 members of the Liverpool Riverside constituency, who questioned Ellman on her pro-Zionist activities have now been placed under investigation. 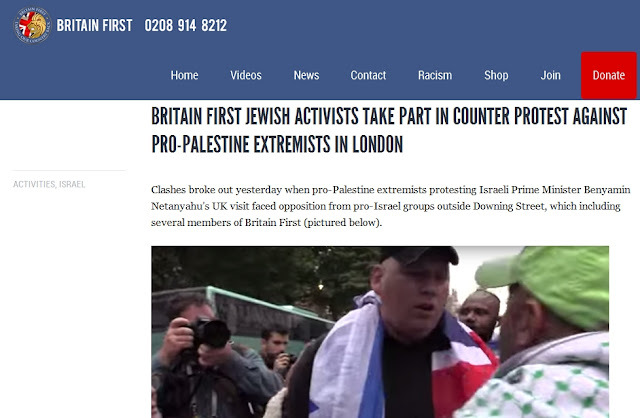 They are being accused of, wait for it, ‘anti-Semitism’. 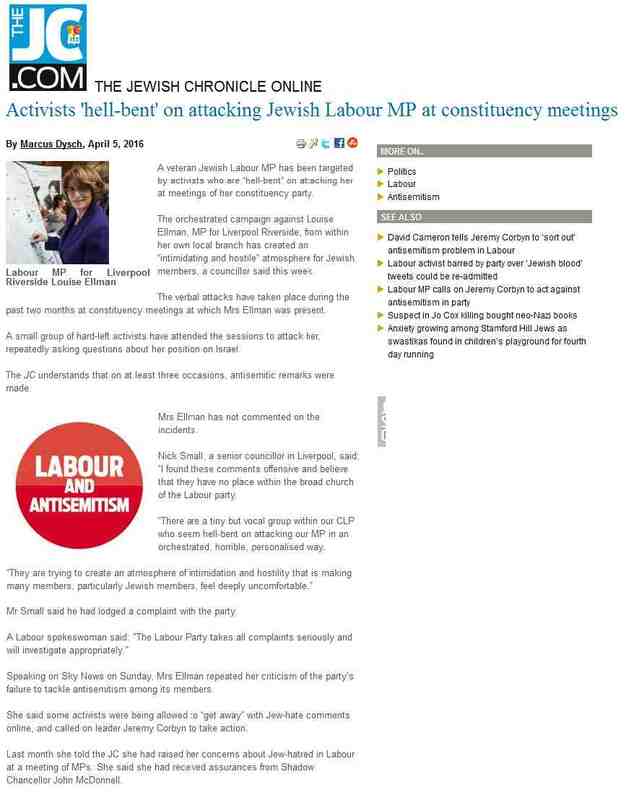 In other words concern for Palestinian children and their harrowing treatment by the Israeli military and criticism of their apologist Louise Ellman, is anti-Jewish. Of course this is yet another example of a false accusation of ‘anti-Semitism’. Ellman normally, when she reports to her constituency, deliberately omits to mention her Zionist work so they asked her what she was up to. By all accounts she didn’t like being interrogated on her work for Israel as, understandably, it is indefensible. No doubt Ellman did indeed feel uncomfortable at the fact that she was forced to answer for her defence of Israeli war crimes. Ellman is a disgrace to the Labour Party. She should be deselected immediately. Touching isn’t it? They may not like Muslims, their members may murder ‘race traitors’ like Jo Cox MP, but when it comes to Israel they just love it!! 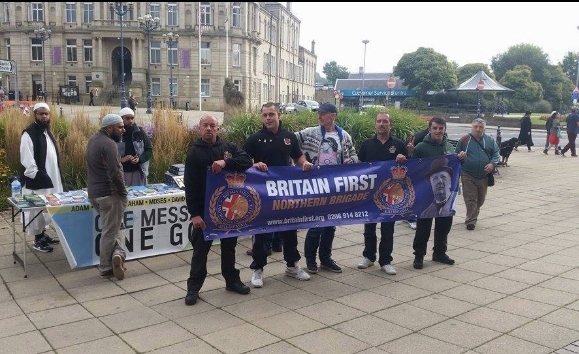 In this Britain First join the English Defence League and the British National Party. Isn’t it strange how holocaust denying and Hitler loving groups just love Israel? They don’t mind that it is a Jewish state because it is the kind of state they admire. Being Jewish in Israel is the same as being Aryan in Germany. The Israeli state operates on the just the kind of principles they love and support. 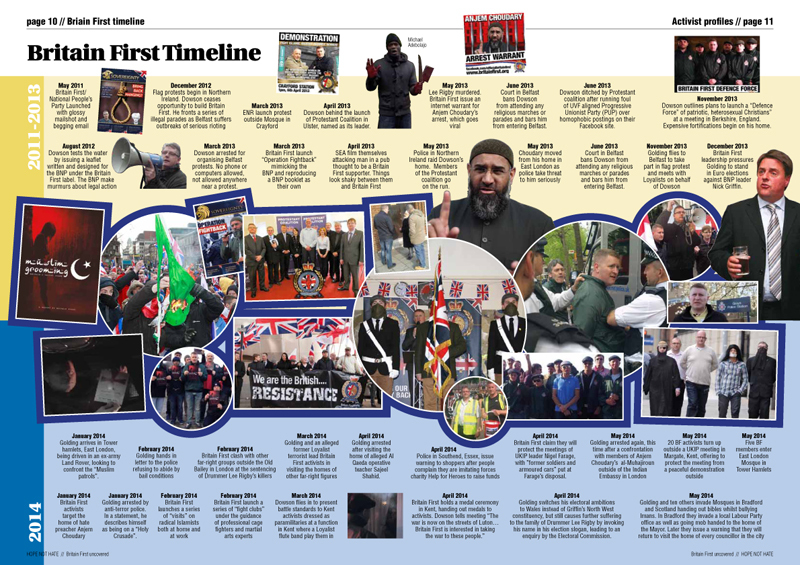 Report on Britain First site of the neo-Nazi group joining Zionists in counter-demonstration in Downing Street - birds of a feather! And as a bonus Israel hates Muslims too. 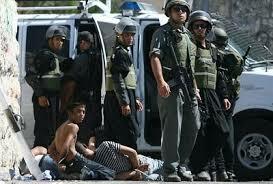 They cage them up in the Gaza Ghetto in much the same way that the Nazis imprisoned Jews in the Warsaw ghetto. True Israel doesn’t exterminate the Palestinians (though much of its Orthodox rabbinate would like to) but compared to any western country Israel is just about as hostile and anti-Islamic as it can. It has just banned the Northern Islamic Movement and imprisoned its leader, Sheikh Raed Salah. Netanyahu regularly goes on about Islamic terror. 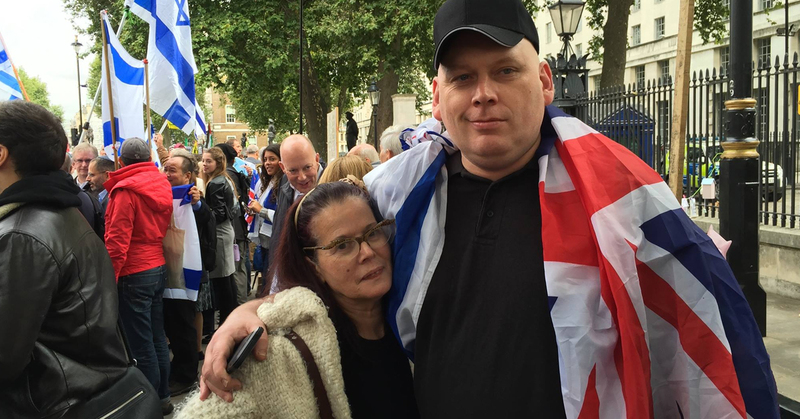 Israel has the kind of anti-Muslim policies that Britain First can only dream about. That’s why anti-Islamic politicians and parties throughout Europe fall over themselves in support of Israel. 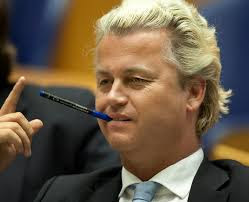 There’s Geert Wilders of the Freedom Party in The Netherlands, Belgium’s Vlams Beelang, Heinz-Christian Strache of Austria’s Freedom Party not forgetting of course Marine Le Pen’s Front Nationale. Below is a report on the Britain First website of how the party joined in a demonstration with Zionist hoodlums at Downing Street when Palestine solidarity activists protested the visit of Netanyahu last year. 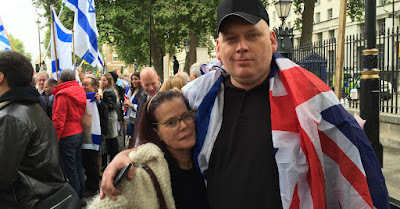 Clashes broke out yesterday when pro-Palestine extremists protesting Israeli Prime Minister Benyamin Netanyahu’s UK visit faced opposition from pro-Israel groups outside Downing Street, which including several members of Britain First (pictured below). The pro-Palestine protest was organized by the Palestine Solidarity Campaign (PSC) with the support of various groups including War on Want, Palestine Forum in Britain, Campaign for Nuclear Disarmament (CND), Stop the War, the British Muslim Initiative and several other leftwing, pro-Islamist extremist groups. Pro-Israeli demonstrators came out to oppose the demonstration and show their support for Netanyahu and Israel, saying they wanted to promote peace in the region. As tensions mounted between the two groups, heated words were exchanged. One man told police he was called a “dirty Jew” by pro-Palestine protesters. The “Left” and the Islamic community are fiercely opposed to the existence of Israel. 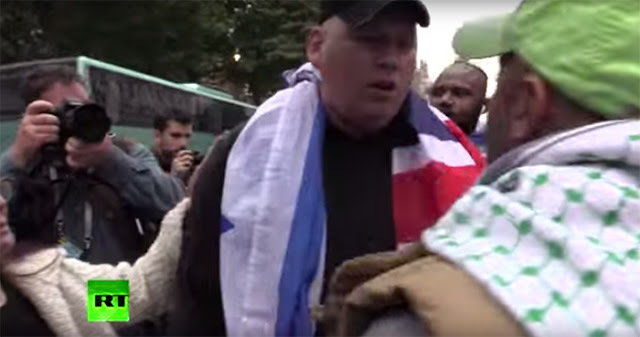 The same Muslims and white socialists that oppose Britain First also show unremitting hostility to Israel. 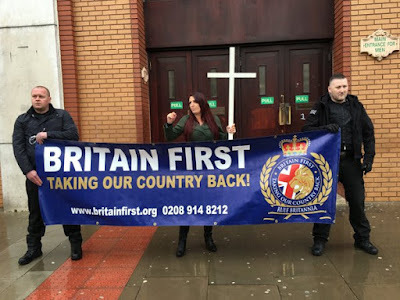 Britain First Jewish activists were proud to oppose the motley gaggle of communists and Islamists that gathered outside Downing Street. We can and never will know what went through the mind of Thomas Mair. 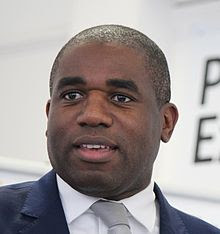 What we do know he was composed enough to answer, in response to a request to give his name, ‘"Death to traitors freedom for Britain" As far as he was concerned Jo Cox, who was well known for her campaigning for and in support of Syrian refugees, was a traitor. 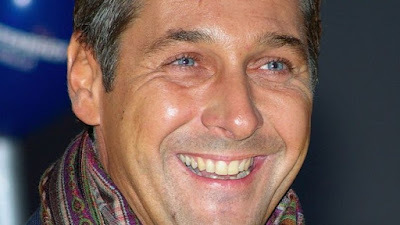 The idea that he was suffering from mental health problems is irrelevant. 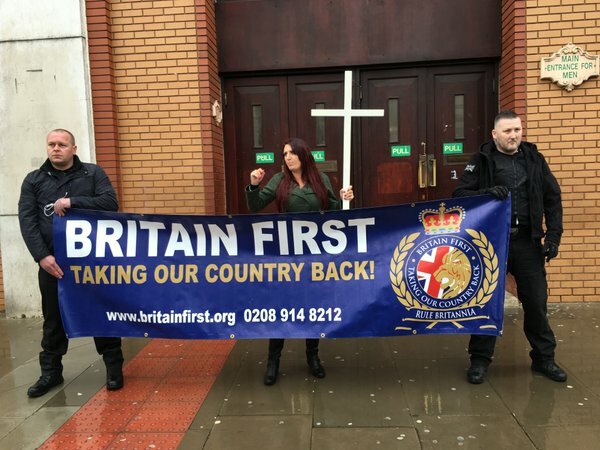 People who are mentally ill don’t carefully construct a gun from manuals, which they’ve ordered from neo-Nazi sites in America, they don’t subscribe to Apartheid South African magazines, they don’t picket Muslim stalls with other members of Britain First. 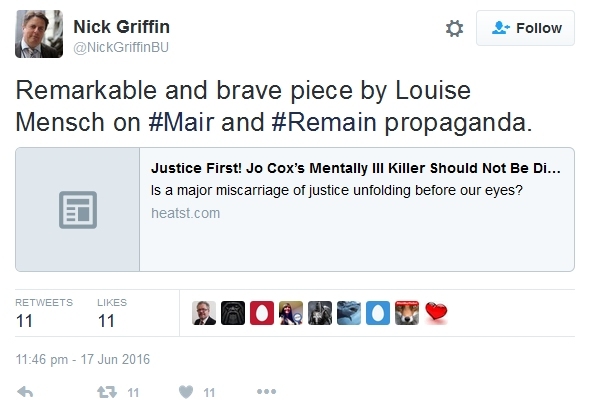 Mair's problem was that he was an aggressive, violent fascist. 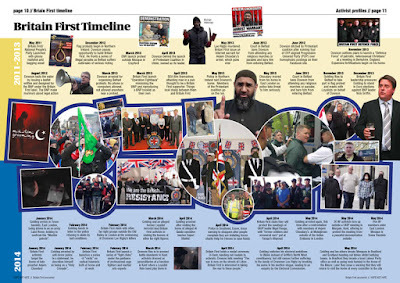 Muslims who end up in court for murder, like those who killed Private Clegg, aren't considered mentally ill, though it is highly likely at least one of them was. 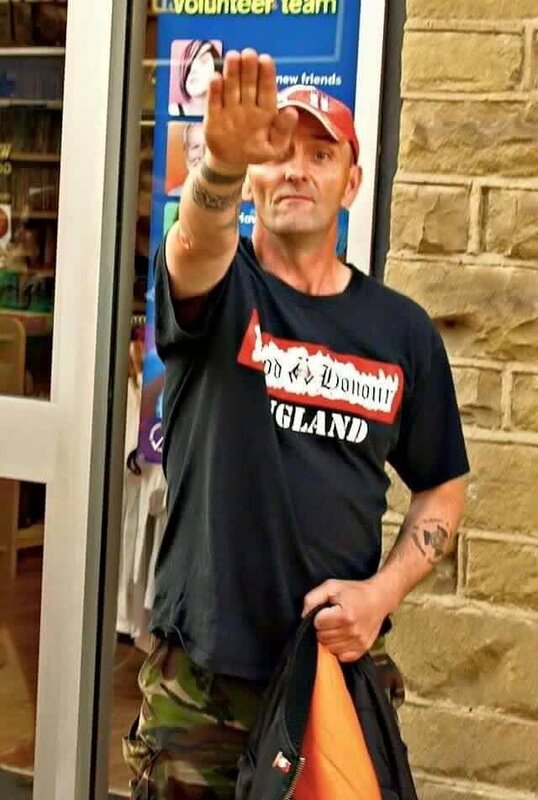 They were considered, rightly, as responsible for their actions and that should be the same with Thomas Mair. 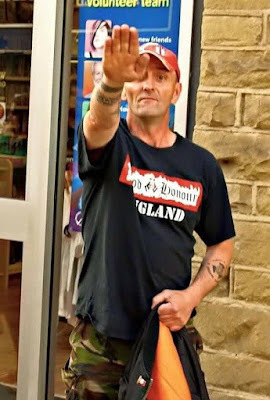 What is true though is that Mair was emboldened to go out, with a knife and a gun and kill Jo Cox because in Britain at the moment there is a European Referendum campaign in which refugees and migrants are being demonised. By chance I was in Leeds the very day that Jo was murdered, as I was speaking there that evening. As I came into the city I noticed a large poster saying that Turkey was going to join the European Union (a lie) and underneath that something about 78 million migrants. If anyone bears responsibility for the death of Jo Cox MP it is Nigel Farage, Boris Johnson and the Daily Express Editor amongst others, with their toxic and racist campaign. They should be in the dock alongside Mair as accomplices to murder. I congratulate my hon. Friend on securing this debate. 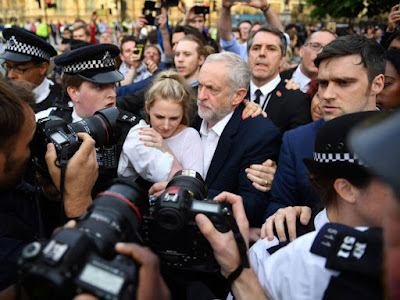 She will be aware that evidence from Military Court Watch suggests that 65% of children continue to report being arrested at night in what are described as terrifying raids by the military. Will she comment on that worrying fact? I will keep my speech very brief. The hon. Member for Brigg and Goole (Andrew Percy) referred to a doll. I would argue that people do not need dolls to promote hate and violence. 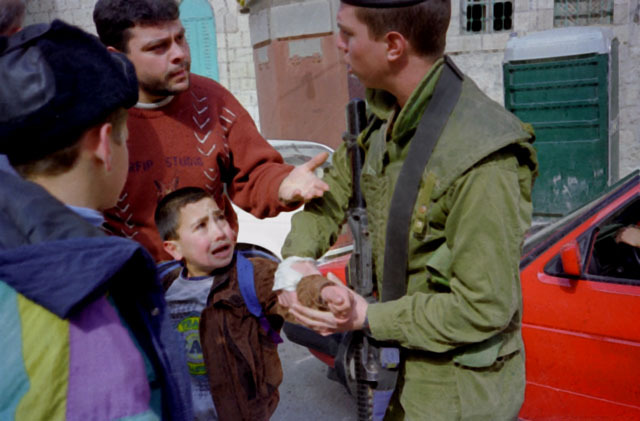 What we have before us in Israel and Palestine is children between the ages of nine and 12 experiencing discrimination. I have children of my own who are aged eight and 11, but I cannot begin to imagine the trauma and the stamp on Palestinian children’s brains and hearts of hatred towards the Israeli military as they grow up and face discrimination, as well as the way they are tret in custody. So I would argue that we do not need props. Below is a tribute from Medical Aid to Palestine to someone who was an outspoken advocate for Palestine. The team at MAP were saddened to hear about the tragic death of Jo Cox MP. She frequently spoke out in Parliament on issues in Palestine. Below is her intervention on Gaza made last year. 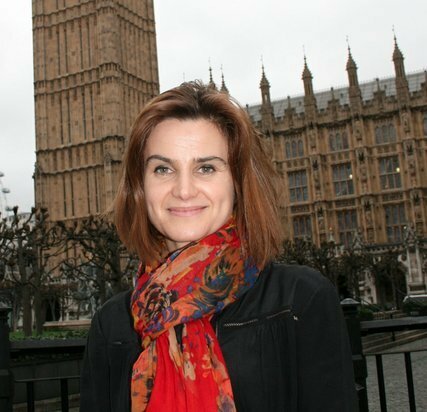 Jo Cox (Batley and Spen) (Lab): As a former Oxfam aid worker for many years, I have worked for far too long on and in the conflict that we are debating, but I still believe that there will be a resolution in my lifetime—hopefully in the next few years. Because of the time constraints, I will focus on three things. First, I would love a response from the Minister about what confidence-building action the Government are taking, particularly on Gaza. The Gaza reconstruction mechanism is clearly not working, but it is also not a substitute for easing the closure. There is a need for urgent expansion of access to Israeli markets for Palestinian exports. What measures are the Government taking to that end? We also need to remove the last restrictions on the export of Gazan products to the west bank. I would like construction materials to be allowed into Gaza urgently. The facts are clear: only one home has been rebuilt in the past year, since the bombing, and the projections are that it will take hundreds of years to rebuild at the current rate. There is a need for materials to get into Gaza so that people can rebuild their lives. What is the Government’s view on that? In addition, people need to get in and out of Gaza. In 2000 about 500,000 people were leaving and returning to Gaza, for work or to see family members. This year the number is 18,000, which is very low, and we need to raise it quickly. We also need the Israeli Government to continue to believe that there will be a cost to their allowing further settlement expansion in the west bank. I would love to know what the Government are doing to get that message clearly heard by the Israeli Government. I would be interested also in the Government’s view of the Israeli Government’s silent policy of retrospectively legalising illegal outposts. “lamentable track record in holding wrong doers accountable” and that investigation by Hamas is “woefully inadequate”. Following the UK’s welcome endorsement of the report last week, I would love to hear what the Government intend to do to support international mechanisms to pursue justice and accountability, particularly in relation to preliminary work by the International Criminal Court.